Read our reviews! See what our customers say. 30% OFF 7 Days. No Call Out Fee. Government accredited. Servicing from Bondi to Emu Plains, and from Wollongong to Gosford. We are the Sydney Antenna Specialist covering all Sydney Suburbs. Call 1300 115 727 for a FREE Quote. 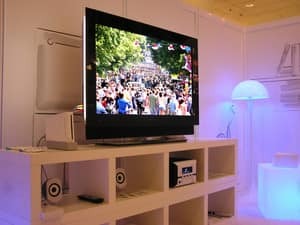 Specialising in all residential, TV and Home Theatre requirements. 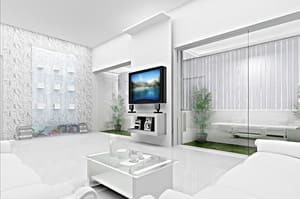 We are TV antennas specialists, TV wall mounting specialists, Installing new points in rooms and solving reception problems. Do you have lines running across your television screen ? What is a set top box, do I need one? Can I use my old TV? Do you have reception problems ? 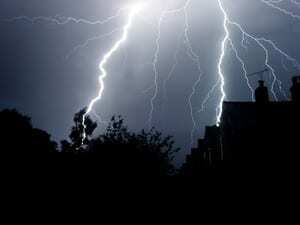 Do you have an old antenna that damaged by lightning or storms ? How do I get high-definition digital TV? Is my old antenna a digital antenna? Do you have a new building that has been erected and block out the original signal ? How do I get ready for digital TV? Can I record my favourite programs? What equipment do I need to upgrade? 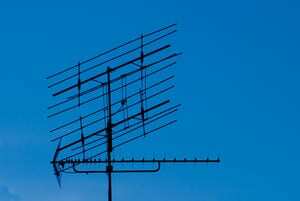 We will answer and provide the solutions for all your antenna issues and we are the Sydney Antenna Specialist. 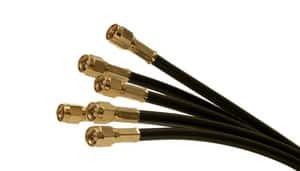 We have 30 years of Antenna experience with TV and CB radio and has been providing the solutions for the problems that are associated with them. We do not answer our phone by an answering machine and will always have a real person to talk to as our time is yours and we are the Sydney Antenna Specialist. Here are the Antenna Services that we provide in Sydney area. * Set Top box Installations &and setup. We have the appropriate insurance policies that protect a consumer when a contractor is working on your property. Impeccable Service - effortless, helpful and friendly. Tony my technician was polite, knowledgable and delight to deal with. Denis was helpful and caring in understanding my needs. They arrived with in 90 minutes of me calling on a Sunday. Highly Highly Recommend using them. A very happy customer indeed! Thank you so much!!! Great service and reasonable price. Denis has done an excellent job-careful, patient and efficient. Great service, arrived when scheduled. Discussed different options with us. Our technician was exceptionally helpful. Would definately call them again. Thank you for the great service! Thank you Allan, always nice to be appreciated. Quality service. I had a problem with my antenna after the storms and they came out really quickly to fix it. Dennis on the phone was great at arranging the work and the guy who visited to actually carry out the job was friendly and efficient. WARNING: OVERSOLD and given LIMITED INFORMATION. True, they will turn up very quickly. Sadly, this is only to rip you off. Here was my experience. 1. They offer you a BASIC antenna on the phone then of course when they arrive at your house tell you that an UPGRADE to a more expensive one for another $100 is essential because, of course, you live in a bad area for reception. When this work was finished, you agreed to the cost that the technician asked for, it wasn't until you spoke to competitors of mine who told you a lot of nasty advice. No competitor is ever going to say nice things about a fellow competitor. You were so happy after you paid the technician, because you were able to watch the tennis, and then you write this. YOu can keep misrepresenting the facts if you like Denis but I still don't have an itemised receipt. And I don't watch tennis so no idea where that came from. And YOU charged me $100 just to upgrade to an antenna that retails online for $119. No doubt you get these at a discounted price. SO everybody make sure you ask for the brand of antenna you are getting and check the price online. I was over sold a Matchmaster 03MM-V6 which is available on ebay for $119. This was sold as an upgrade. Also take a close look at the picture of the van on the website. It is clearly photoshopped. He hires contractors, they are not his employees. No problem with this as a business model but you will be paying at least $200 more. I spoke to several of your competitors. None of them had anything nice to say about you. That is the only truth you have written here.